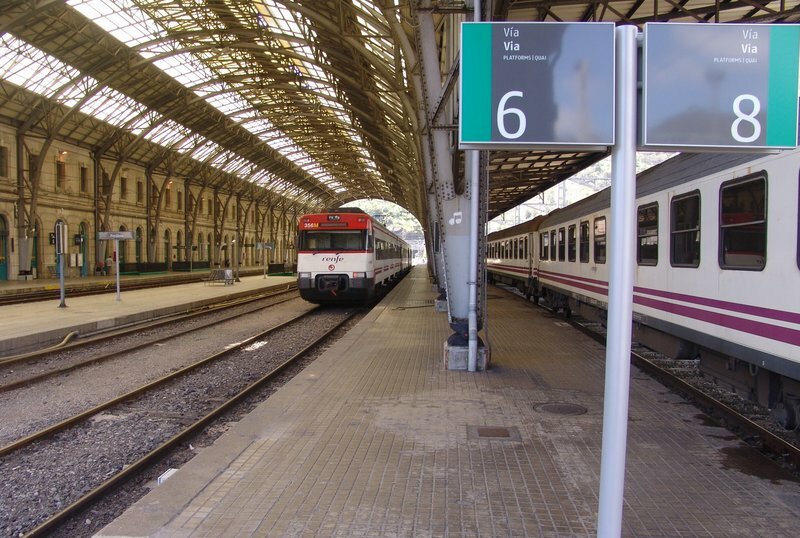 On train stations in Spain (Region 2) , how do you know on which track your train is/comes/goes? It does not say on the itinerary, neither on the ticket. Also the trains sometimes have no label or sign on them. I'm talking about Rodalies de Catalunya. I could not find this information on their website either. In the lobby of the train station there is always plenty of room for different stuff: ticket machines, turnstiles to check tickets, usually also a coffee shop and newsagent. In that space you will find a big screen that lists the next departures and arrivals. It shows the time of departure, the destination, the platform and sometimes a small list of stops. 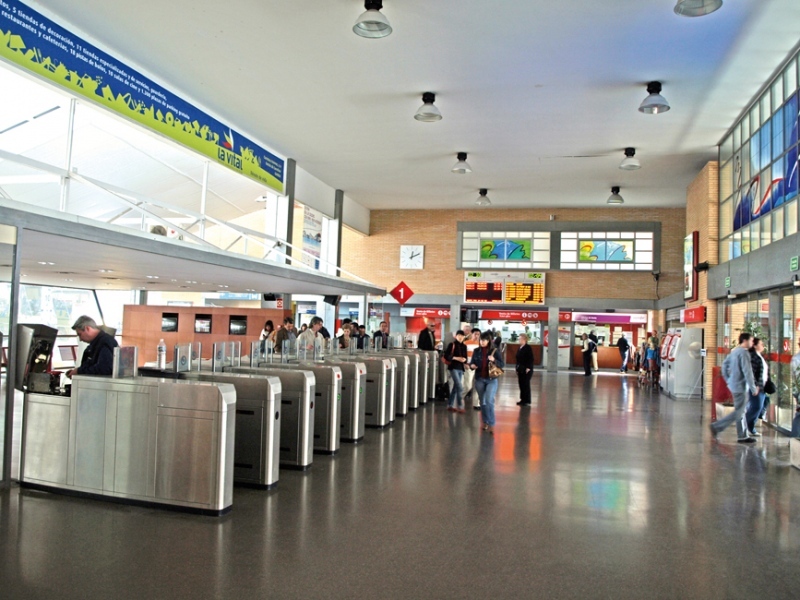 In big train stations like Barcelona Sants the track number is usually unknown until say 10 minutes ago, because it may change depending on the traffic. However, they always follow some logic and lines are clustered in the same range of numbers, so you just have to reach the correct platform and it will be a matter of knowing if it comes to the right or to the left. In small train stations, there normally is just one way: one side to go to Barcelona and the other side to go in the other direction. Not the answer you're looking for? Browse other questions tagged trains spain train-stations or ask your own question. How do I find out practical information (lines, timetables, frequencies, maps, etc) about the SNCB network in the Bruxelles-Capitale region? How to get from Istanbul to Ankara by land?